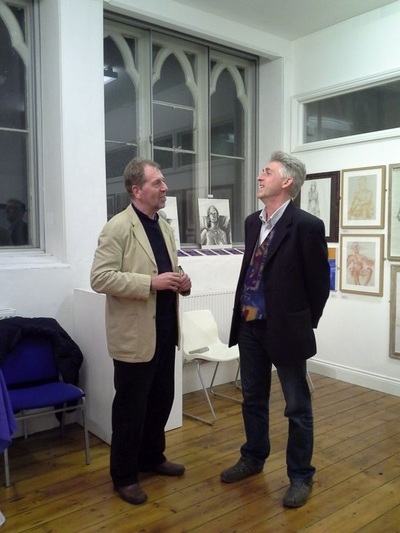 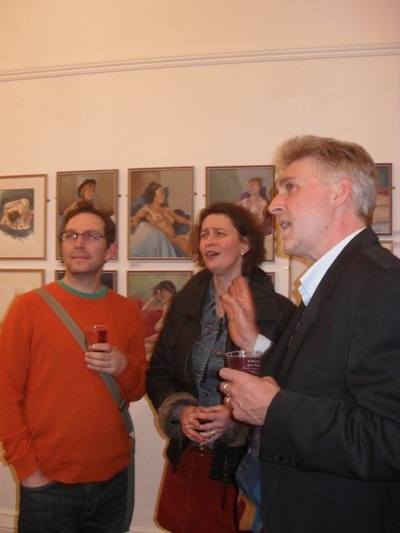 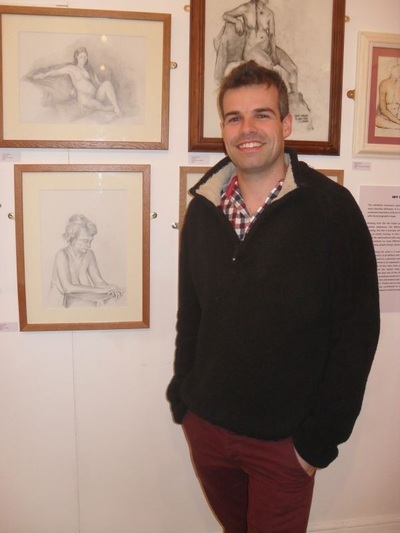 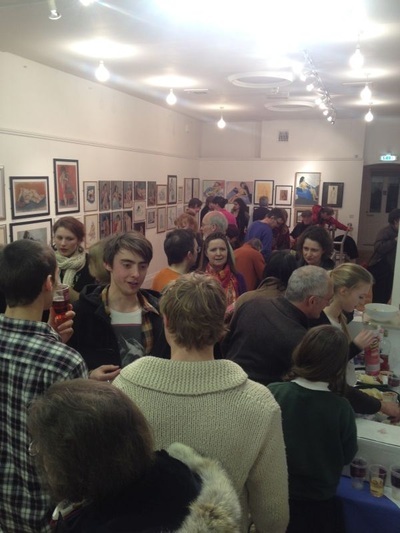 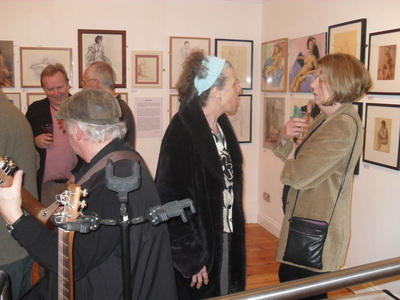 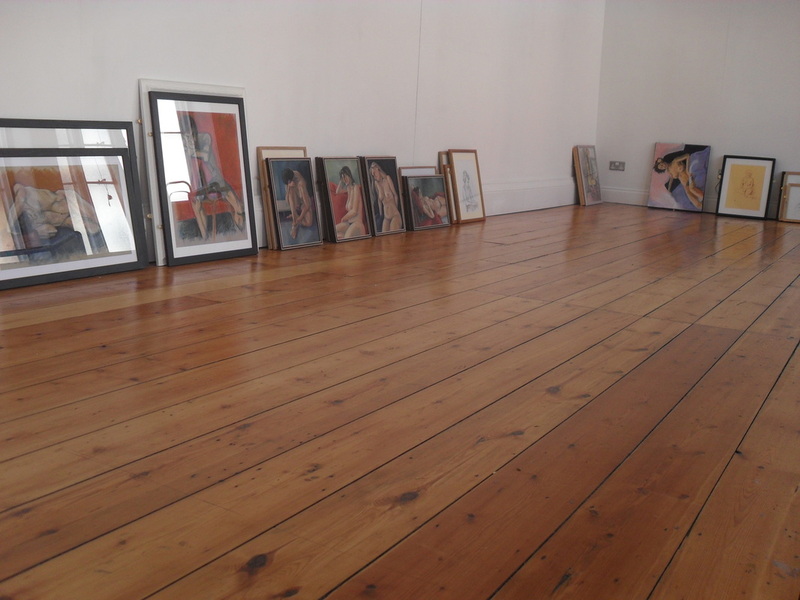 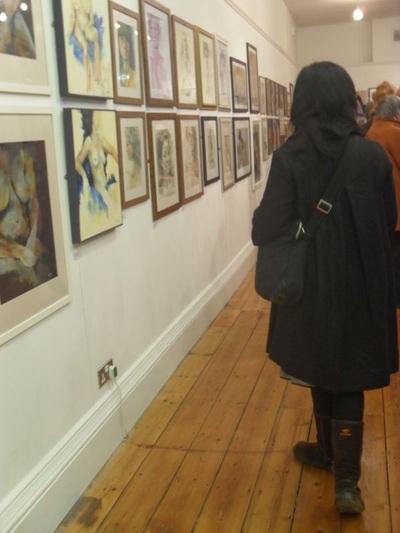 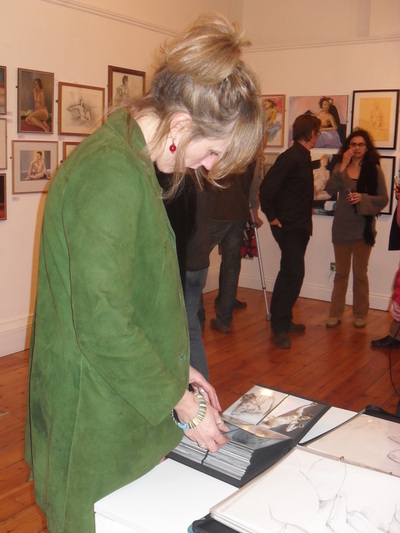 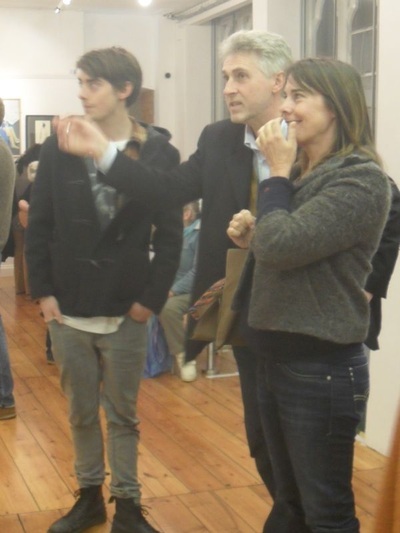 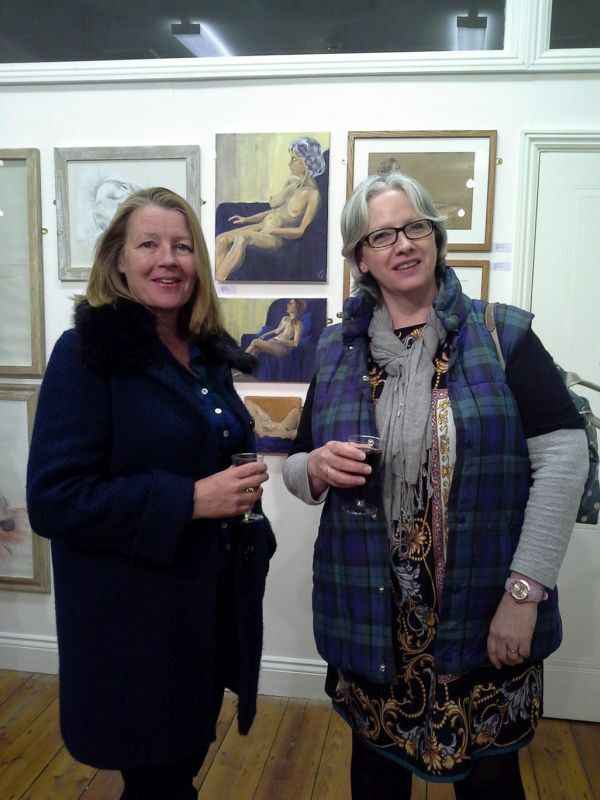 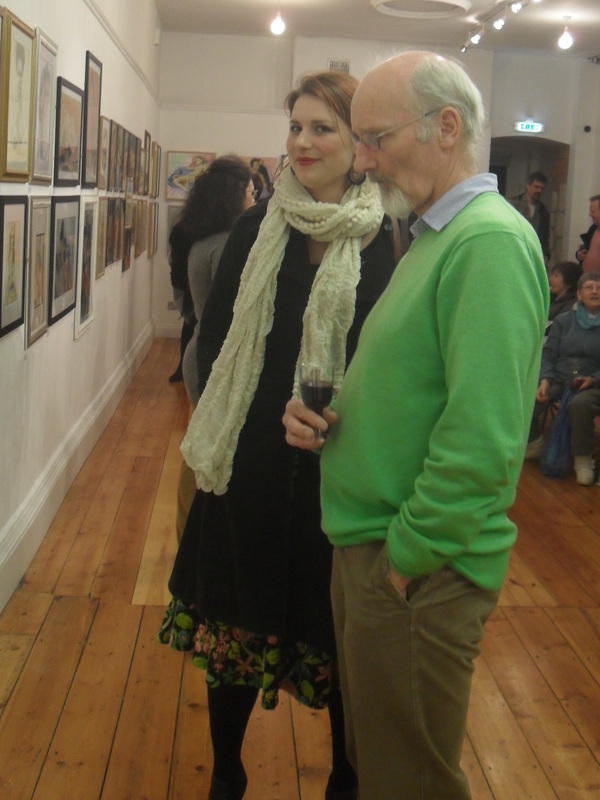 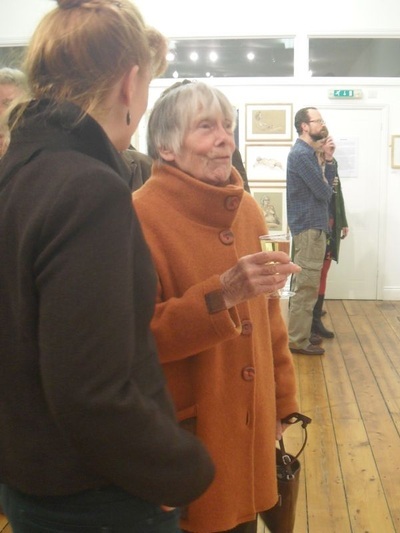 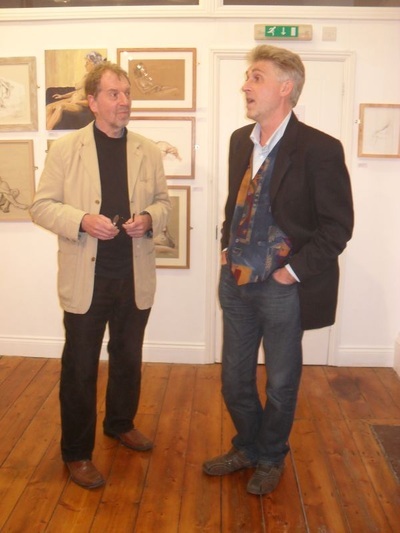 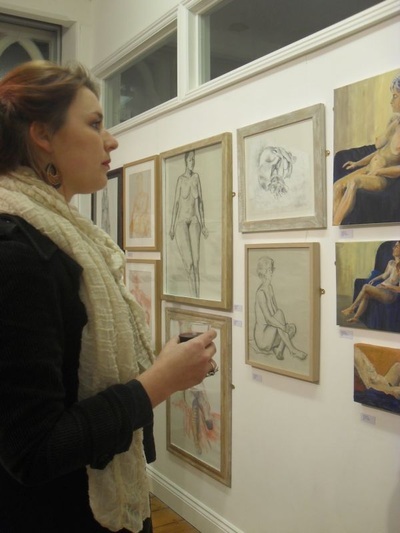 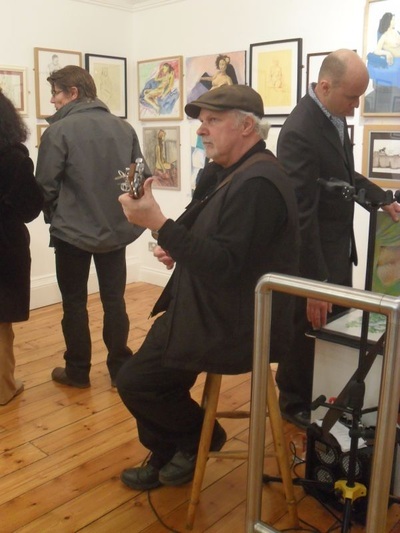 The second Stroud Life Drawing group exhibition, Joy of Life, took place in March 2014. 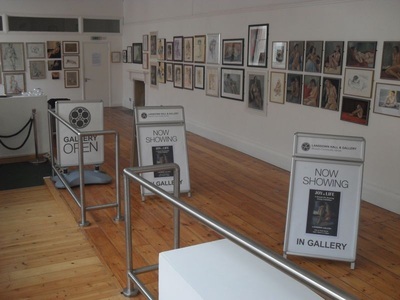 It was conceived as a celebration of the challenge and continued importance of direct human observation in an age awash with the photographic image. 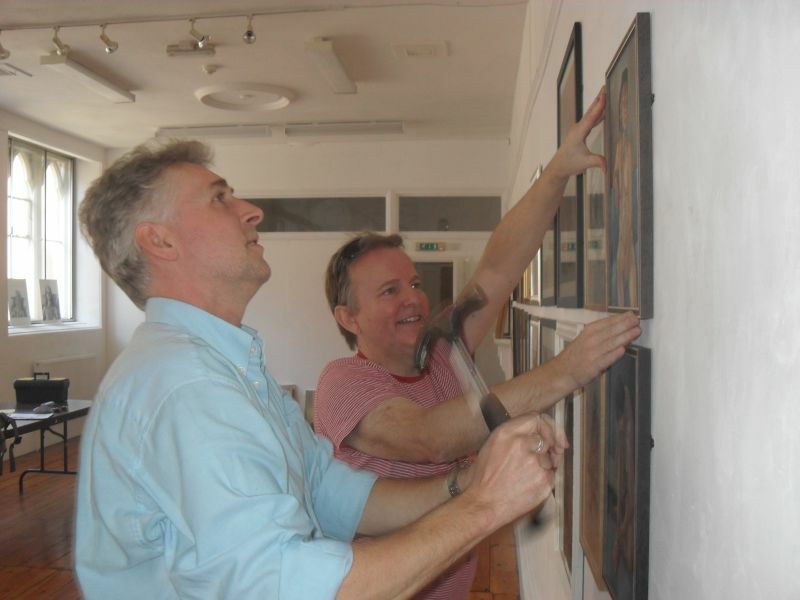 Chris and Keith hung the pictures on what was a beautiful Sunday afternoon and the Private View (at which most of the photographs were taken) was held the following evening. 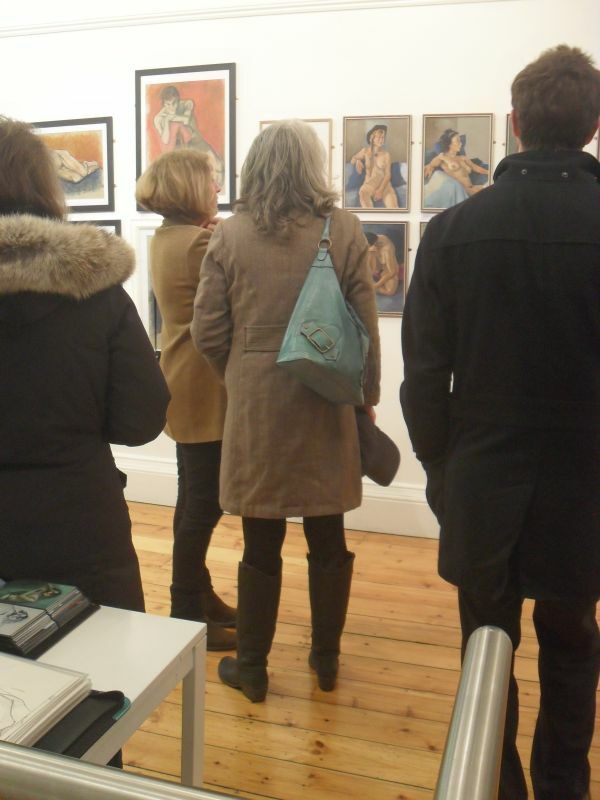 The turnout was good and everyone seemed to enjoy viewing so many varied approaches to the same subject. 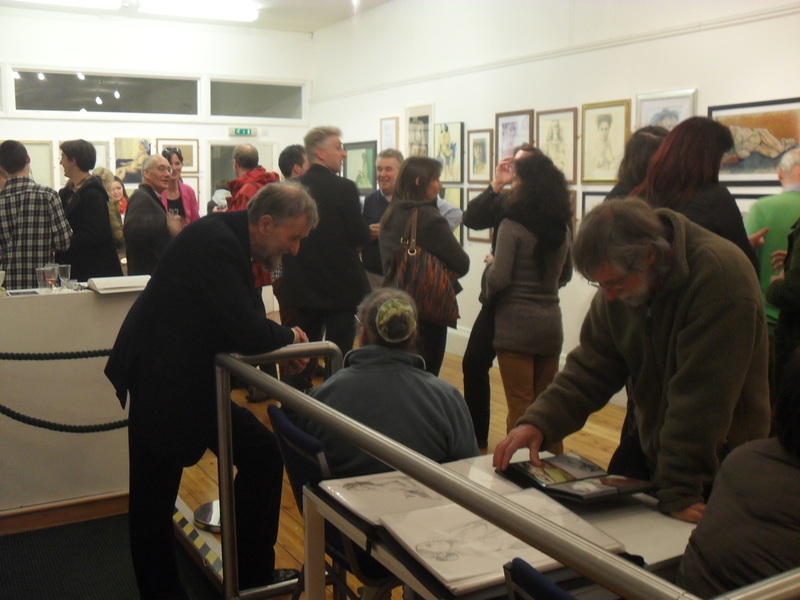 The general consensus was that everyone’s work had improved since the last exhibition two years ago, and that it was pleasing to see so much use of colour as well as black and white studies in pencil and charcoal. 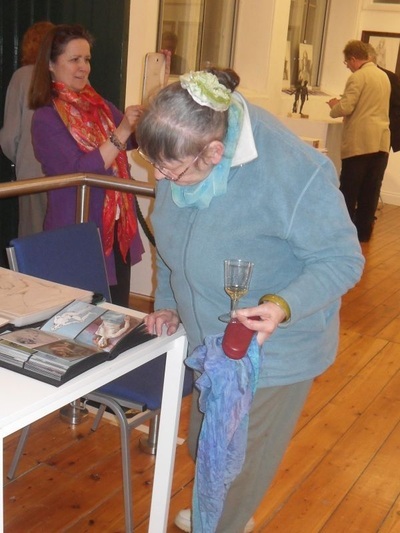 When viewing the photos, or the work on the website gallery, it is worth considering that the group welcomes artists of all abilities and experience and that there is no pressure to work in a particular manner or medium. 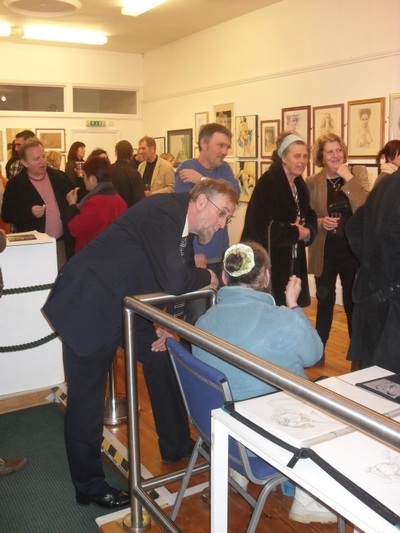 One thing we all have in common is an enjoyment of sharing the same challenges and difficulties of line, tone, form, proportions and ‘bringing it all together’ which the human body presents. 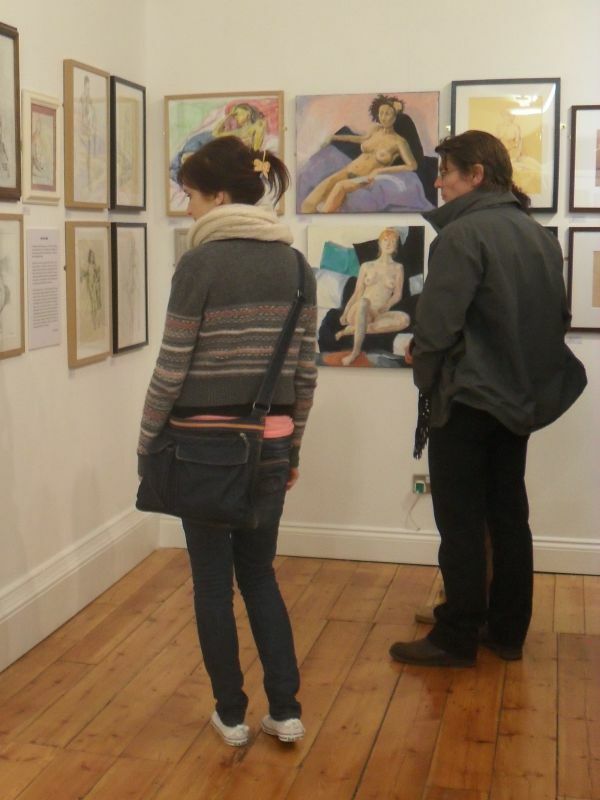 It is also worth remembering the vital role of the life model, without whom, the Saturday drawing sessions would not be possible. 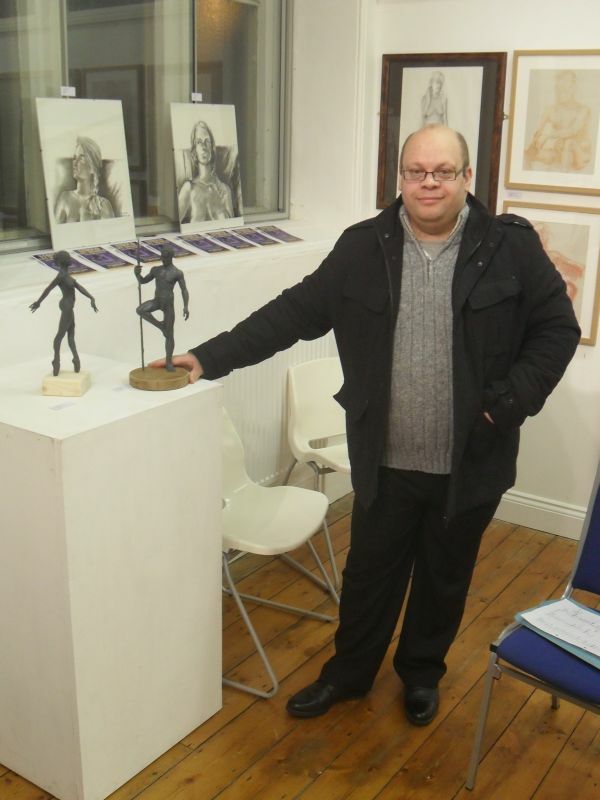 Thanks, then, are due to all those men and women who have worked as models over the last few years. Thanks also to everyone who took the trouble to frame their work, staff the gallery and make the exhibition possible. 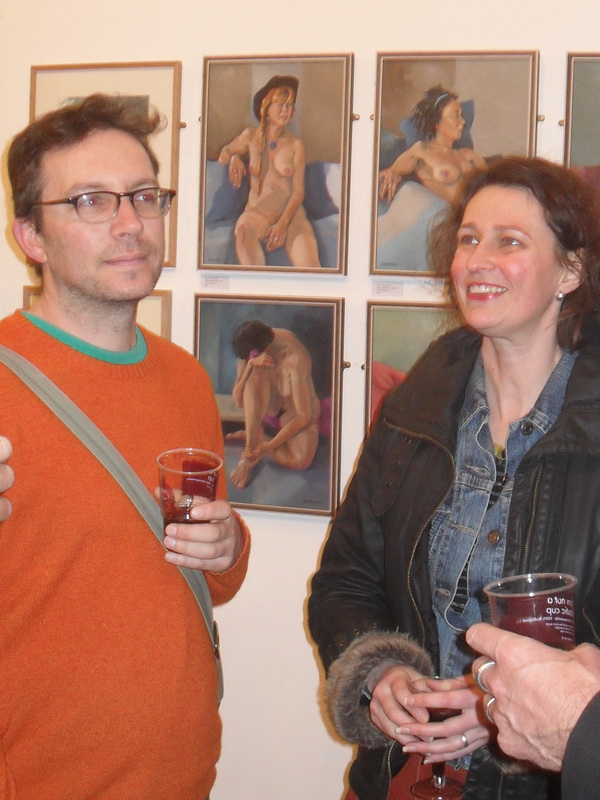 Keith would also like to take this opportunity to thank everyone who turns up to draw on Saturday afternoons and contributes to making Stroud Life Drawing such a friendly and supportive environment in which to work.